The Nikon 105mm ƒ/2 DC is a specialized portrait lens featuring ''defocus control.'' This control allows the photographer to change the appearance and nature of out-of-focus elements in the scene being captured. Defocus control as a technical innovation was first introduced in the 135mm ƒ/2 DC lens in 1990, and the 105mm ƒ/2 DC was released in 1993. The lens was designed for film application, making it fully compatible with both DX- and FX- sensor-based digital SLR cameras. On a body equipped with a DX-format (APS-C) sensor, the lens will provide an effective field of view of 158mm. The lens employs a built-in telescoping hood, and takes 72mm filters. It retails for approximately $1,000. When the 105mm DC is used wide open at ƒ/2, the lens shows 2-3 blur units across the frame with some unevenness. For the sharpest results a smaller aperture must be used; stopping down to even ƒ/2.8 provides very sharp results (on the order of 1.5 blur units) and all traces of unevenness are removed. Stopping down further gives further gains in sharpness, until at ƒ/5.6 the lens is essentially tack-sharp across the frame. Diffraction limiting seems to set in very slightly at ƒ/11, but even at ƒ/16 results for sharpness don't exceed 1.5 blur units. The results are similar between DX- and FX-based camera bodies. 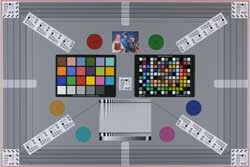 Our test results were shot with the Defocus control set to neutral (0). CA is well-controlled by the 105mm ƒ/2. On the D200, chromatic aberration is most evident with the lens set to its wider apertures, but even then it is really only visible to the eye in the corners in areas of high contrast. On the D3x, employing automatic chromatic aberration reduction, CA is virtually non-existent. On the D200, there is some light corner shading when the lens is used wide open at ƒ/2; in this instance, the corners are a quarter-stop darker than the center. At all other apertures, light falloff is non-existent. On the full-frame D3x, there is a bit more light falloff; at ƒ/2, the corners are three-quarters of a stop darker than the center. At ƒ/2.8 the corner shading is only a quarter-stop darker, and other apertures are less than that. With the 105mm ƒ/2 mounted on the D200, distortion is practically non-existent. On the full-frame D3x, there are trace amounts of barrel distortion, in the order of +0.1%, and that's only visible in the corners. The claim to fame for this lens is its Defocus control technology. We have added a fifth interactive graph specifically for this test, using a test scene to demonstrate the effect of each defocus control setting. This graph is a bit more resource-intensive than our others, weighing in at around 15 megabytes of data; you may have to wait a bit for it to load completely. The effect of the defocus control on out-of-focus elements is most easily seen with the lens used at its widest aperture settings. To my eye I find the edges of out-of-focus elements become more sharply defined with the defocus control used in the forward settings; with defocus control used in the rearward settings, out-of-focus elements become more strongly blurred. The 105mm ƒ/2D AF DC uses a body-based mechanical screw arrangement to drive its focus, meaning the lens won't autofocus on screw-less designs such as the D40, D60 and D5000. For a lens that doesn't employ the AF-S technology it's remarkably fast, focusing between infinity to close-focus and back in less than a second on the D3x. Autofocus results cannot be overridden by turning the focus ring; an older-style switch must be turned to change into manual focus mode. In autofocus mode, the focus ring does not turn during focus, and neither does the front element. The lens isn't designed for macro work, with a magnification rating of just 0.13x. Its minimum close-focus distance is fairly good, at 90cm (around 3 feet). The 105mm ƒ/2D AF DC is solidly built. Its construction is mostly metal, with only the manual focus selector and defocus control ring being made from plastic. The texture of the lens is of finely-grained metal. The lens weighs a hefty 621 gm (1.3 pounds). The lens aperture is made up of nine rounded blades. The lens has a few noteworthy features. The first is an aperture ring, now abandoned by Nikon with its G specification, with a lock to secure the aperture to ƒ/16. A windowed and recessed distance scale provides distance information in feet and meters; accompanying this is a depth-of-field scale, showing markings for ƒ/16, as well as an infrared index. The defocus control ring is selectable between ƒ/2 and ƒ/5.6 in both the rear- and front-defocus configurations. The selection is made by pressing a button and rotating the DC ring. The switch to select manual focus is an older-style ring design, requiring the push of a button to engage the manual focus / autofocus selector. To use manual focus the lens-based switch must be set to manual; setting the body to manual focus will not allow the focus ring to be turned manually. This is actually pretty handy for ensuring that a carefully-achieved focus point is not disturbed accidentally. The focus ring is an inch in width, with a checkerboard texture of raised rubber ribs. In manual focus mode the focus ring is very smooth to turn, with just a light amount of resistance to assist in achieving accurate focus results. The ring takes about 120 degrees to move through its focusing range, and will focus a great deal past infinity. Hard stops at either end of the focus range mark infinity and close-focus. Nikon has gone to great lengths to ensure stray light doesn't enter the lens. The front element of the lens is already recessed 1 1/2 inches from the end of the lens shell, and the integrated lens hood extends a further 1 1/2 inches beyond that. The interior of the lens extending from the front element is made of fine baffles, and the interior of the lens hood is lined with a velvety material. The operation of the lens hood, being a part of the lens, makes it very easy to use, but in practice we noted that even with the hood deployed it was fairly easy to find lens flare in either the diffraction spike variety or more generalized veiling glare. In these situations the sun was about 15-20 degrees off-axis to the lens. If you need or want Nikon's defocus control, you've only got two choices - the 105mm or 135mm. If you're just looking for the 105mm focal length, or something in that range, then you have some options. The only other lens to feature Nikon's defocus control technology, and we haven't yet tested it. If you're not a fan of the 105mm focal length, then you can go slightly longer with the 135mm. 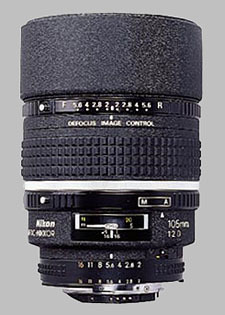 A non-D version of the lens was also produced until 1995. If you don't need defocus control, Nikon's 105mm macro lens also works well as a portrait lens. Vibration control (VR) is a feature of this lens, however the 105mm ƒ/2 DC is sharper at every aperture and has the benefit of a faster ƒ/2 maximum aperture setting. CA, corner shading and distortion results are similar between the two lenses. Sigma's 105mm ƒ/2.8 is also an excellent lens, but not as sharp as the Nikon 105mm ƒ/2. It does provide sharp results but for optimal sharpness the lens must be stopped down to at least ƒ/5.6. Results for CA, corner shading and distortion are all similar to the performance of the Nikon 105mm. Sigma also produces an extremely sharp 70mm ƒ/2.8 macro that would produce an effective 105mm focal length on DX-sensor camera bodies. Both lenses feature full 1:1 macro reproduction. Tamron's 90mm macro lens also works well as a portrait lens, with extremely sharp results with the lens stopped down to only ƒ/4. The lens features full 1:1 macro reproduction. The lens produces slightly more chromatic aberration than the Nikon, but results for corner shading and distortion are similar. We haven't yet tested Tokina's 100mm ƒ/2.8, which features 1:1 macro reproduction and the most economical price tag of the above options. The 105mm ƒ/2D AF DC provided excellent results for sharpness with just slightly soft results when used wide open. Stopped down to even ƒ/2.8 results were dramatically sharper, and by ƒ/5.6 it's as sharp as it gets. The lens also dealt extremely well with any potential chromatic aberration. Corner shading and distortion are virtually non-existent. Of course the most fascinating feature of the lens is its defocus control, which gives the user absolute control over the appearance of out-of-focus objects in the scene, or allows the user to add a soft-focus look as desired. Given the nature of the lens, it's not surprising that it commands a substantial price, but its results show that you get what you pay for. I am new to digital photography with limited technical background. This is my first prime lens. I added it because I love portrait photography. I'm also not afraid of a challenge. This lens feels like the most special of relationships. If you love Boke, this lens is something special. Wide open (f/2 with Defocus Control set to R2), this lens produces a display of conjoined edge-softened color that is both stunning and artistic. The "Melt-in-Your-Mouth" Boke has earned my images rave comments from reviewing public that include; "Wow", "Professional", "Magazine Quality" or "I love this image". More importantly: I love these images. I love the way this lens feels in my hands. It feels "old school" and reminds me of phrases like "back in the day" we made things that last!. Fast enough. The lens is actually fairly fast to focus. For most of my portraiture, speed is not an issue. Autofocusing accuracy is another issue (see below). I have not tried to track moving objects with this lens and so will leave informative comments to those that do. This lens IS NOT for the faint of heart. It took A LOT of reading, experimenting, on-line videos, and informative sites like this for me to begin understanding "how" the lens works. I would think after all this time, that Nikon would construct a more useful "Users Guide" for this and the 135mm DC lenses. As a beginner, focusing this lens routinely eats my lunch! Autofocus (with DC engaged, especially at f/2) is challenging. 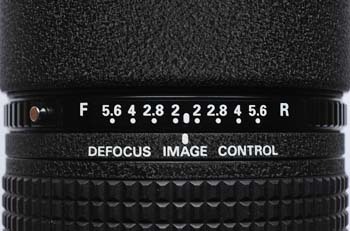 With Defocus Control engaged, AUTOFOCUS misses, even after refocusing, are frequent. I usually obtain the best and most consistent results in Manual Mode "Live View" with Focus Peaking turned on (D850). In bright light, high contrast areas, I get more Chromatic Aberration and Fringing than I like. This can be present from f/2 through f/4. I'm sure there is a way to adjust for this. That's my next adventure. As mentioned in the article, this has occurred with small angles to the camera plane. Some in the corners at f/2 and less at f/2.8. I hope you find this review helpful. I wanted to provide some personal 'real world' experiences for others like myself. I LOVE THIS LENS despite the trials and tribulations that come with it. Reviews and use both simultaneously attracted me, and repelled me, from keeping this lens. Truth be told, I almost returned it. Patience, however, is a virtue not to be undervalued. With practice, this lens continues to produced some of the most visually enjoyable images I have taken. I tested it thoroughly before buying... well, a Zeiss 135/2 and a 105/2.5 AIS. This lens seems to have no weakness, except some CA and purple fringing wide open. Here the Zeiss is vastly superior, especially in handling bright light sources. And of course it is sharper. Apart from that, IQ and sharpness were convincing, at least from f/2.8. The defocus control actually works and is a delight for 'slow' and/or technically interested photographers (if you like tilt & shift, you know what I mean). If money were not limited, I'd definitely buy one. AF (screwdriver-powered) is slow but accurate, so I do not care. 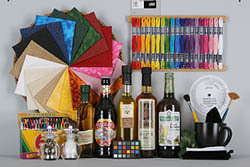 very sharp, the blur is great, the image that is creating is very, very good! One of my favorite. I love the focal length, even on my D7000. The defocus control seems pretty subtle, but it makes the lens special and I hope to hang on to this one for a life time. I often wonder how the price will be affected for used copies once the lens is no longer in production. Guess I'll find out soon enough. Sharp. Creamy bokeh. Excellent color rendition and contrasts. Literally perfect portrait lens. Built like a tank. Built in lens hood. Sometimes get CAs. Required a little AF fine tuning. Heavy. So sharp it gets diffraction pretty easily after f5.6. Clunky built in lens hood. Pricey. Hands down the best portrait lens ever. Colors, contrasts, sharpness, DOF blurry bits are literally perfect. On DX it was a bit tight but the perfect length on FX in my opinion. Distortion free. It costs near 1000 bucks but it performs well. Great results. I would never part with this lens. Its like a loved one in the family. Cherished. Highly recommended for portrait shoots. Once in awhile the lens hood catches so gotta be aware of that. Metal construction. Feels strong but heavy. Other than that, cant praise it enough. Superb IQ - FAST, Nice size, contrasty, built in hood a huge plus. I have owned several of Nikon's fastest lenses (85 1.4, all the 50mm's, 80-200, etc) This lens is special. You could do a photoshoot in a landfill and not take a bad picture. 105mm on full frame gives you more freedom than 135mm by far, and has better repro ratio and sharper wide open than 85mm as well. 1.4 is a hot mess for headshots - you always have an eye out of focus - heaven forbid you get the tip of the nose in focus oh jebus. Blows away 105mm VR. This lens LOVES people and people loves, what this lens does to them. This lens is simply perfect. It's the well definited lens at f2 I've ever seen. I've actually never use the DC, and never over f5.6. Surely the sharpest lens I have, it's able of a very fine detail even if it's not a macro lens. I'm enjoying also the DC feature for some kind of flou effect both on digital and film SLR. Definitely a must! Pin sharp all over its aperture range, especially from f/2 to f/5.6. The "natural" bokeh is great and Defocus Control is just a little more fun. Built solid and resilient. Manual focus ring is perfectly smooth. It's heavy for a prime, but not so much, especially considering the f/2 aperture. It doesn't get 10/10 just because there is a recurrent frontfocus problem in some series (mine... easily fixed by Nikon under warranty however) and at this price point, it's a pity that they don't control it and fix it at manufacture. So just don't get it second hand if you cannot test it and get any problem fixed under warranty. Probably my favourite lens along with the 180/2.8. Since I have it, I have been considering changing my DSLR (currently D50) to get a better viewer as it is sometimes hard to use manually with such a shallow depth of field ! I put some samples to show the DC effect there : http://iyhel.free.fr/laodh/spip.php?article19 (sorry, that's in French only for now). Not found. Some would want faster AF. 10+10+10. Farther explanatios not needed. Price is OK for what you get.